This is a controlled worming up of the derma and under skin tissues. During it the flabby collagen threads shorten and thightens up at onceq without any injury. As a result the skin becomes more thighf and dense. New appliance 4 in 1. Based on unigue work out – ELOS technology with infer red radiation and bipolar radiofrequent electric power. *This procedure is offered only in Dima Style beauty studio 47 Bulgaria blvd, Sofia. This the most efficient therapy for redusing the fat from belly, hip, buckskins, thights. You will achieve a visible effect after 2-3 weeks and further improvemen of the results up to six months. Up to 2 zones can be treated per day. New zone can be treated after two weeks. 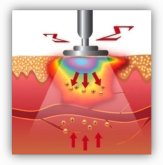 The treated area can be over treated not less than 2 months and maximum three times. The number of treatmens is individual. The Cryo procedure takes an hour for an area. 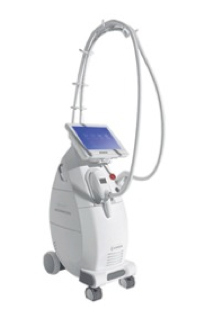 Single cryoforesa procedure 98 BGN, in a packet offer of 10 procedures 78 BGN.